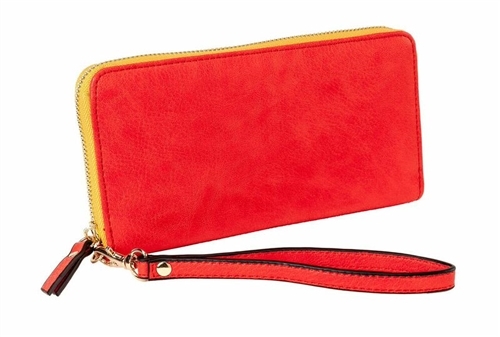 Includes detachable wristlet strap, this wallet is the perfect way to keep your busy life organized. Zip around entry for added security, done in soft faux leather material, Red exterior with contrast orange Interior. 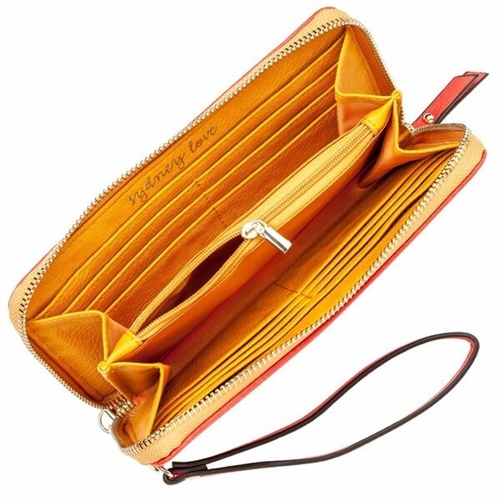 Includes 12 credit card slots, one center zipper pocket and two currency slide pockets.